"there is a problem with this website's security certificate". 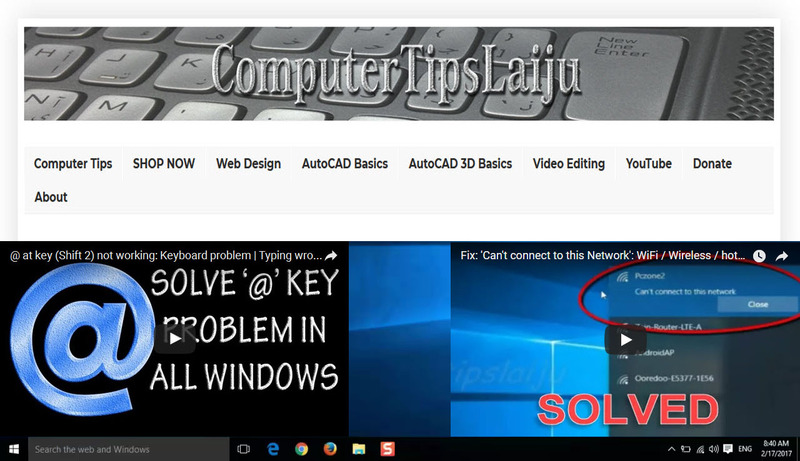 This video will help you to solve this problem easily. Some times specially in some old laptop or computer, you can't open the web page, even if you are connected to internet. You can see 'internet access' displayed in windows 7 or later near to the network icon in the taskbar. The web browser will not allow to access the page. This error message "There is a problem with this website's security certificate" will show in Internet Browser. Try this if you get "There is a problem with this website's security certificate" error. Computer's all natural working have a main connection with the System Time. System time must be perfect for the best working of all applications. For the best working of any browser like Internet explorer, Mozilla Firefox, Google chrome, Opera etc the system Year, month, date and time must be very accurate. And always use the latest browser versions. You can change the computer time settings from the right bottom corner of your computer screen or you can enter in control panel to change the system time zone, System time and date.